The NVIDIA GeForce GTX 485M SLI is a high-end laptop graphics solution based on two GTX 485M graphics cards. With SLI, each card usually renders a single frame (AFR mode). Therefore, it may suffer from micro stuttering in low fps ranges of 30fps. This happens because of different timespans between two frames (e.g. irregular delays between sequential frames). The GeForce GTX485M SLI supports the same features as a single GTX 485M card. Therefore, it supports DirectX 11 and is produced in a 40nm fabrication process at TSMC. Unlike the GeForce GTX 480M, the 485M is no longer based on a trimmed down GF100 core, but on the GF104 core instead. The latter has been designed for the consumer sector and has 384 cores maximum if completely enabled. More information on the GF104 core can be found on the GTX 485M page. The performance of the Nvidia GeForce GTX 485M SLI is clearly better than the GTX 480M SLI and is therefore the fastest graphics solution for laptops as of early 2011. It allows the user to play all current games in high resolutions and detail settings with Antialiasing activated. Only Metro 2033 and Crysis may stutter with high Antialiasing and maximum details. Compared to a single GTX 485M, the performance from the SLI combination should be about 40% higher on average (with high details and Antialiasing). Compared to Crossfire solutions by AMD, the Nvdia SLI drivers have the advantage as of this writing. As the GeForce 300M series, the GeForce GTX 485M supports PureVideo HD with VideoProcessor 4 (VP4 with Feature Set C). This means that the GPU is able to fully decode HD videos in H.254, VC-1, MPEG-2, and MPEG-4 ASP. Using Flash 10.1, the graphics card can also accelerate Flash videos. What's new in the GF104 chips compared to the GF100 (480M) is the support for Bitstream transfer of HD Audio (Blu-Ray) via HDMI. Similar to the HD 5850, the GTX 485M can transmit Dolby True HD and DTS-HD via Bitstream to compatible receivers without quality loss. 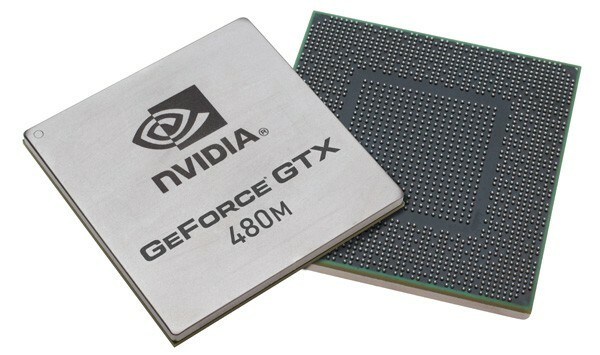 The rendering cores of the Nvidia GeForce GTX 485M can be used for general calculations using CUDA or DirectCompute. In other words, the encoding for HD videos can be done significantly faster by using the shader cores of the GPUs instead of using modern CPUs. PhysX is also supported by the mobile Fermi to calculate physics effects in supported games. Furthermore, a single GTX485M can be used to calculate PhysX while the other card can render frames in the SLI setup. Compared to desktop GPUs, the Geforce GTX 485M SLI is most similar to two Nvidia GeForce GTX 460 cards running in an SLI configuration.